Today, the public cloud’s reliability, security, and scalability have the transformational potential to move disparate workloads to a single cloud platform for greater efficiency and agility. 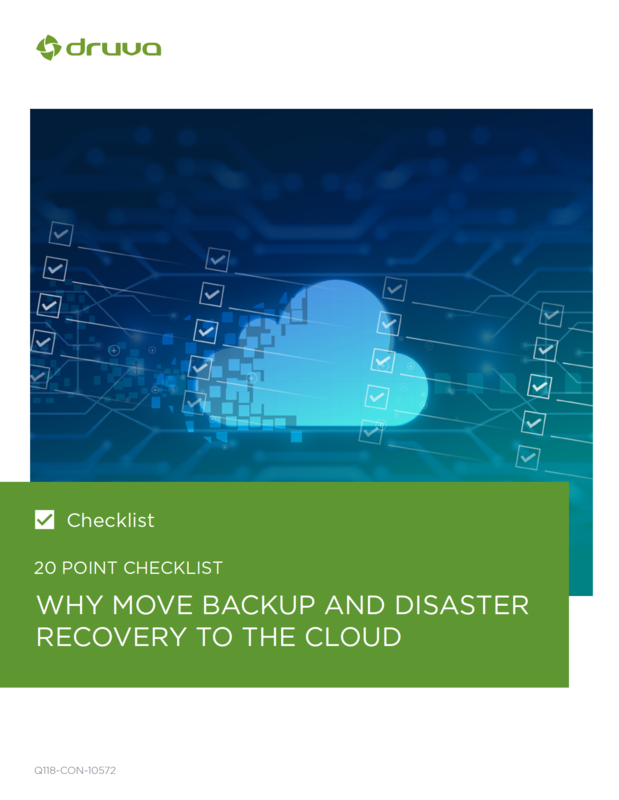 Discover 20 real-world benefits you will gain when you move backup, archival, and disaster recovery (DR) to a single, native cloud platform. Automatically protect data without the need for expensive on-site hardware and administrative overhead. Transition to an operating expense (OPEX) model (versus capital expenditure or CAPEX) to pay only for what is used and thus improving the Total Cost of Ownership (TCO). Because the data is stored in the cloud, it’s at the ready for data mining, legal, and compliance needs.